In large bowl, mix 1/2 cup sugar, 1/4 cup flour, the cinnamon, nutmeg and dash of salt. Stir in apples. Spoon into pastry-lined pie plate. Cut butter into small pieces; sprinkle over apples. Trim overhanging edge of bottom pastry 1/2 inch from rim of plate. 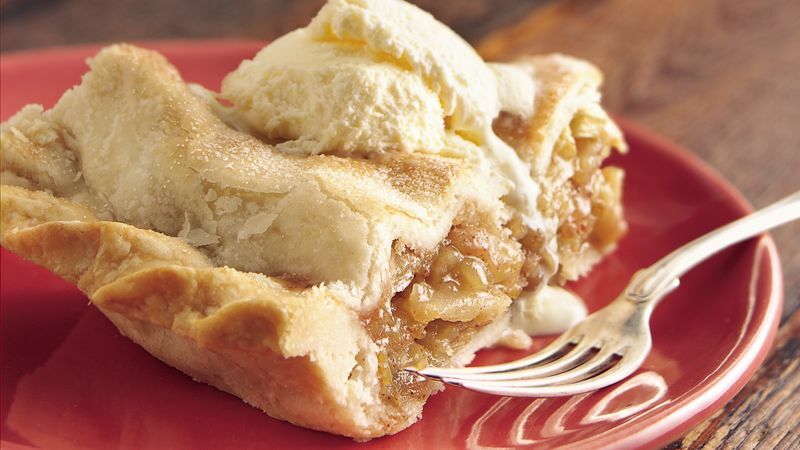 Top off this traditional favorite with a scoop of vanilla or cinnamon ice cream.